Property is a prime residential site that is beautifully wooded with gradual grade changes comprised of 22.4+/- acres off of New Hempstead Road in New City, New York. 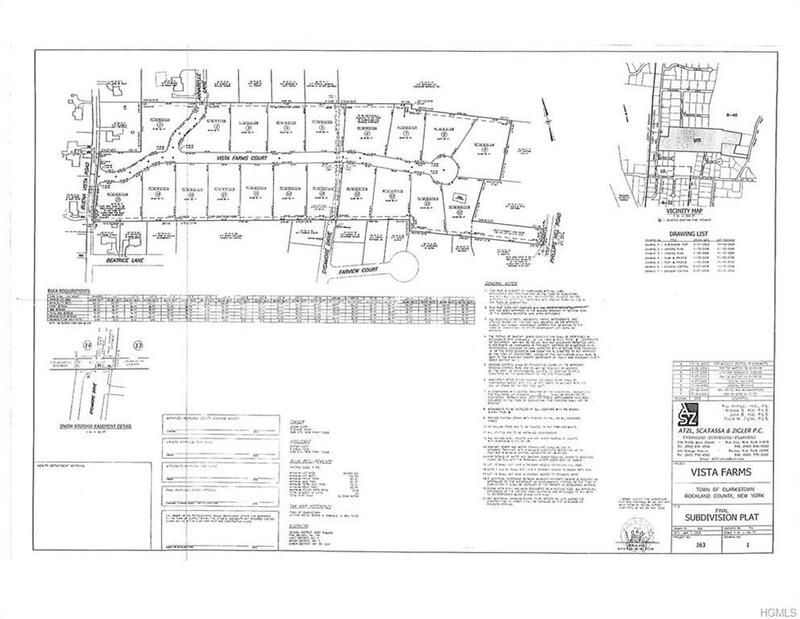 Site is rectangular in shape with a preliminary plan showing a yield of 20 residential lots (with one being dedicated to Town for drainage) with access off of Buena Vista Road.R-40-Residential 40,000 square foot lots in the Town of Clarkstown which permits a multitude of uses including single family detached residences; places of worship; preserves, parks and playgrounds; etc. All uses subject to approval by the Town of Clarkstown building department and other government agencies. Listing courtesy of Steven M Yassky of Rockland Rlty Commrcl Re Svcs.